Home > Baby Deals > Stocking Up on Baby Food: How Much & What Is A Good Price? 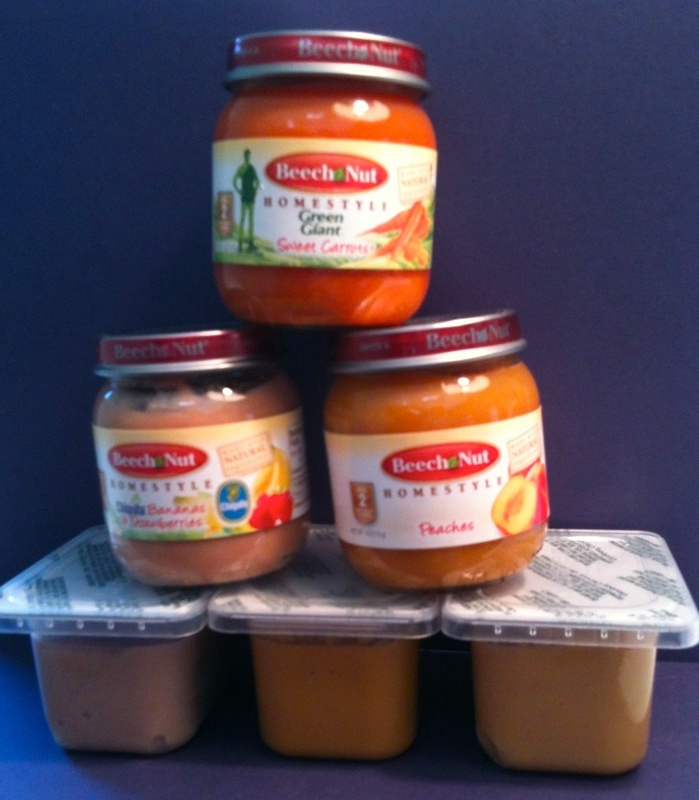 Stocking Up on Baby Food: How Much & What Is A Good Price? When it comes to bringing a new baby into the world, life can get expensive – fast! We’ve already covered how to save on diapers (both disposable and cloth), so now let’s cut the cost of baby food. Whether you choose to buy it jarred or make your own, there are lots of ways to save. Can y’all tell I’m nesting? How much baby food will I need? The easiest way to overspend on baby food is to stock up too much. It’s important to be realistic and also watch expiration dates. Depending on when you start solids (the American Academy of Pediatrics recommends 6 months) you can expect baby to eat baby food for 6 months or less and at most 2-3 jars per day. If you go crazy that could mean 500 jars! Realistically, not all babies like baby food that long, so collecting a closet full may end with you adding baby food to baked goods or making a large donation. (If it’s free, I guess that’s not such a bad thing). Just remember our goal of stocking up for 6 weeks and you should be good. At 2 jars per day, that means 84 jars. This will give you a chance to try a variety of fruits and veggies and decide which ones baby likes too. Then you can always buy more at the next sale or switch to table food if baby is ready! What about the different stages? This is the most confusing part of jarred baby food, so we are going to make it simple: Just buy Stage 2! Stage 1 tends to be smaller (2 oz) jars for the same price as Stage 2, which are 3-4 oz. Early on, you can give them half of the bottle and save the rest for another meal (they last in the fridge up to 3 days). Just don’t feed baby from the same jar twice to prevent contamination. If you are concerned about texture you can always thin them down a little or puree them more for a few weeks until baby adjusts. By the time they get to Stage 3, these are a lot chunkier and most likely they can just switch to smashed up table food at that point! That covers all my tips on jarred baby food. Do you have any others to share? Stay tuned for next week when we talk about making our own!